A favorite accusation by far-Left activists aligned with the Democratic Party is that supporters of President Donald J. Trump are “fascists,” “authoritarians” and “Nazis.” But a recent ‘speech’ by a backer of the president proves not only are such accusations misguided, but they actually apply to those making them. They’re the ones who love big government, and have a habit of shutting down everyone they disagree with. They’re the ones who have been responsible for the most political violence over the past year. Inside their social echo chambers it’s easy for them to view themselves as heroes, but it’s obvious to everyone else that the far-left is the most tyrannical force in America today. Now granted, the American primary education system — also run by Leftists — has been so degraded by political correctness that it’s not realistic to think there’d be even a few young Americans familiar with the Nazi leader’s speeches. 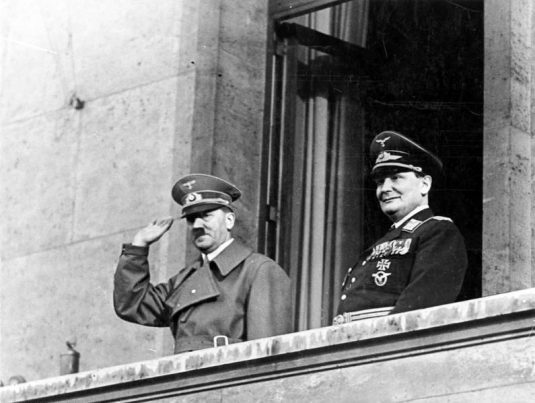 But the content of Hitler’s words also did not phase the crowd; either they never really understood what the speaker was saying or they agreed with him wholeheartedly. Either way, it spells doom for the future of our country if these socialist fascists-in-waiting ever gain control of the levers of power. Without a doubt, the leaders of the American Left are borrowing pages from playbooks written by original Marxists, Leninists, communists and socialists long ago. They speak the same language. They utilize the same political tactics of divide-and-conquer. They preach the same utopian vision of “equality,” when they really mean equality of misery. Hitler used the playbooks to gain control of Germany, then proceeded to launch one of the world’s most destructive wars, in which tens of millions of people perished, including nearly an entire race. And the Left applauds both his words and ideals — not Trump supporters and conservatives.